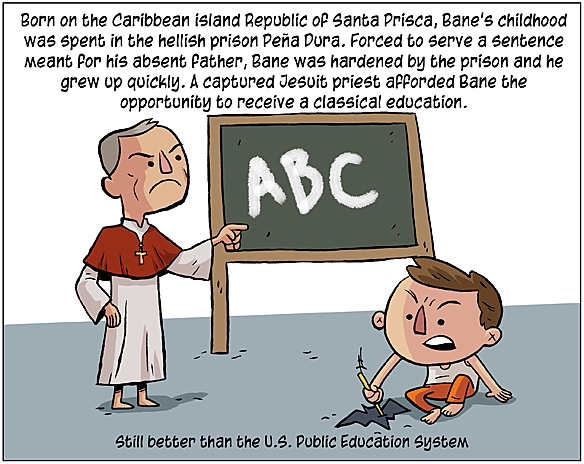 From the depths of the hellish vacation spot Santa Prisca comes Bane, the latest Batman villain to combat the caped crusader on the silver screen in The Dark Knight Rises. 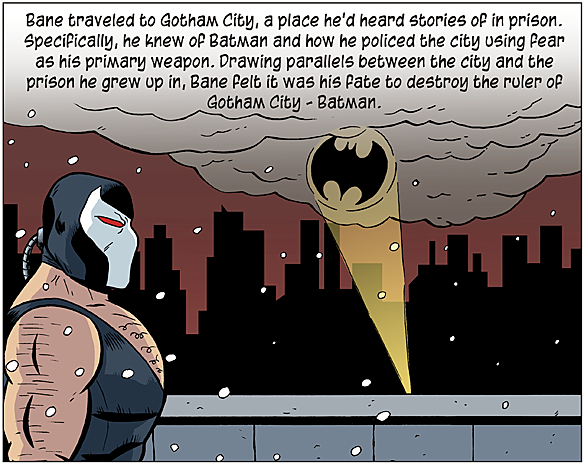 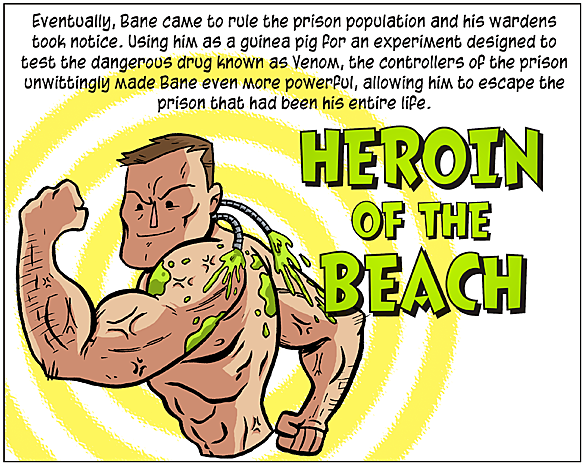 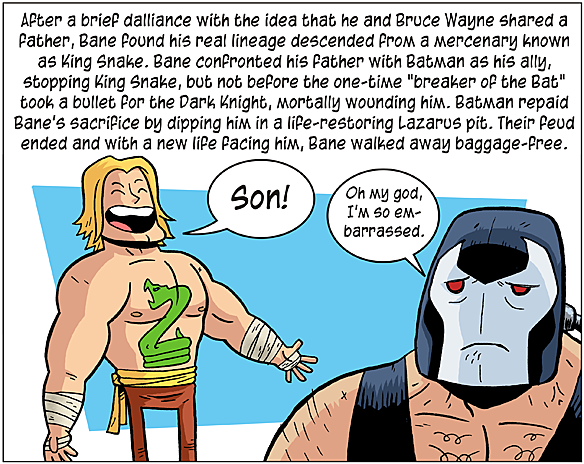 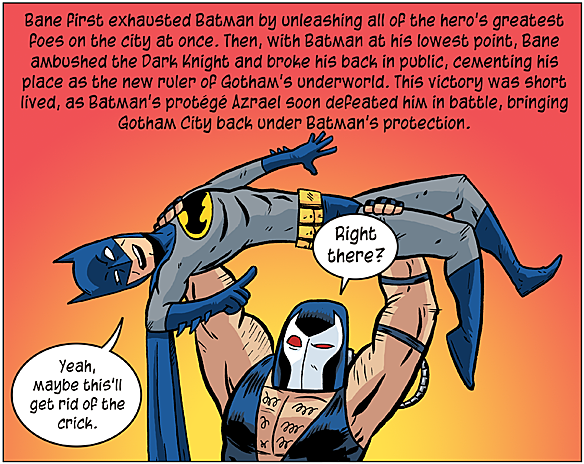 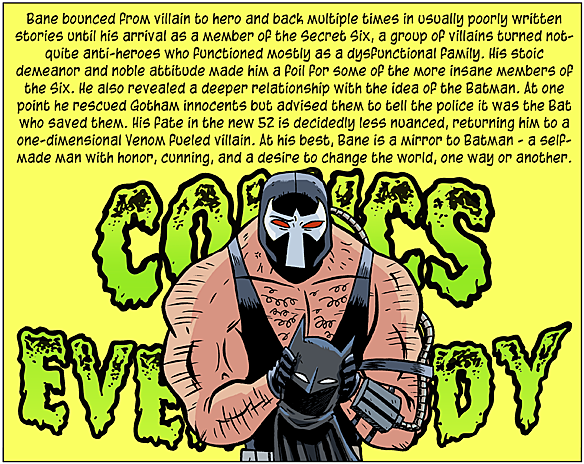 Bane is also the subject of this installment of the comics retrospective Comics, Everybody! 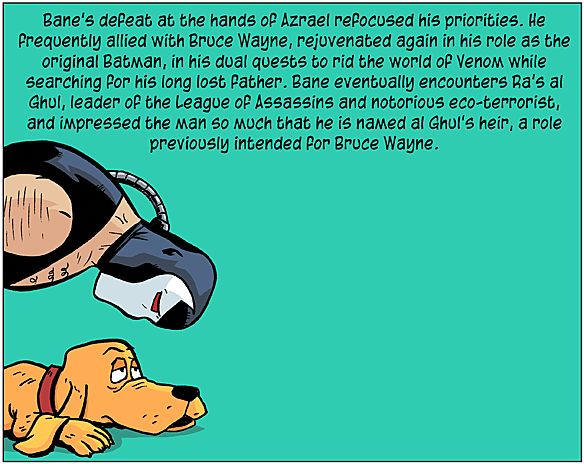 by Let's Be Friends Again creators Curt Franklin and Chris Haley.